Services — Sadona Salon and Spa | Annapolis, MD | A full-service salon and spa located in downtown Annapolis. It all begins with our dry consultation before every hair service. To look and feel your very best, your crowning glory needs to be just right and we strive to exceed your expectations! 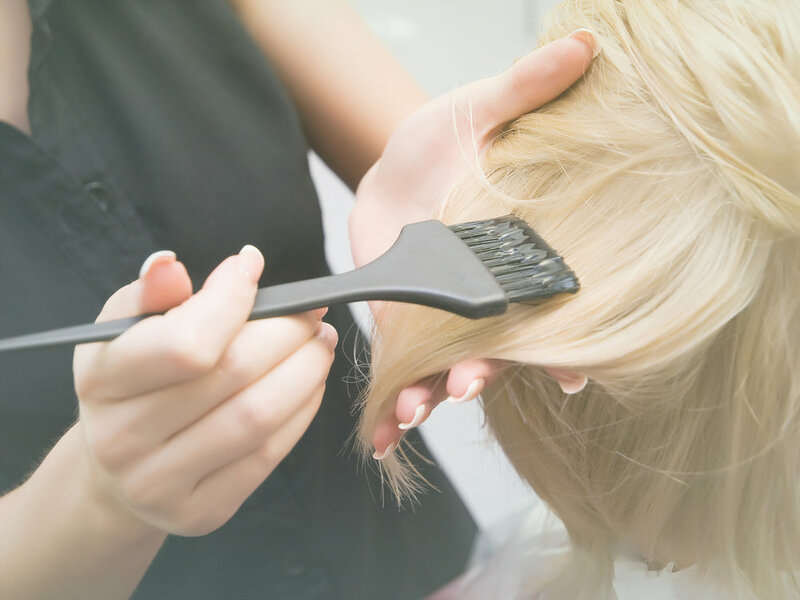 Our highly trained and talented stylists have a variety of techniques to help to achieve what's best for you. You can rely on our styling team’s knowledge of what's current from their advanced education from the most highly trained specialists in the field of hair cutting and chemical services. Our pricing varies based on the stylist’s experience, skill certification, and continuing advanced education. To find out more about how we can enhance your hair care experience, please schedule a complimentary consultation with one of our talented stylists. We partner with an American company for our color brand that rises above the rest - Eufora. All Eufora products meet the most rigorous standards in formulation utilizing the healing benefits of Certified Organic Aloe as the base, with nearly 75 different natural plant extracts and essential oils for the most glorious depth of color on the market. Cezanne Keratin Smoothing Treatment is a transformational, life-changing smoothing treatment that's free of harsh chemicals. Consultations are required before first treatment. This long-term treatment lasts 4-5 months and includes after care products. This short-term treatment lasts 6-8 weeks and includes after care products. 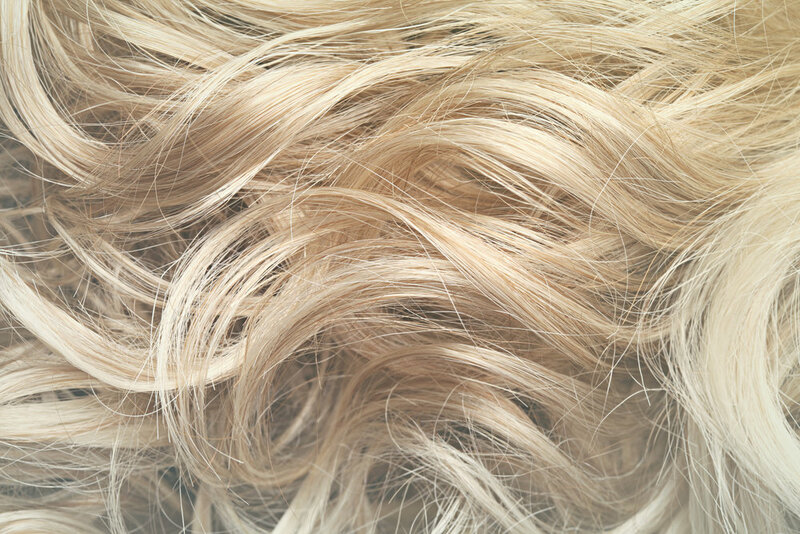 Eufora perms are gentle but effective and can be used to create your desired look, from beach waves to advanced curls. Mizani relaxers provide straightening, conditioning, scalp comfort and texture versatility with consistent results. Feeling a little parched? Is your hair color not as lively as usual? A Moisture Infusion Ritual provides an instant hydration boost, delivering deep conditioning and restored manageability to tired, dull, moisture-starved strands! Suffering from itchy, dry scalp or thinning hair? A Scalp Rejuvenation Ritual includes a fabulous scalp massage to improve circulation, always a welcome treat! Are you battling breakage? Suffering the abuse of aggressive styling or chemical services? Restore lost nutrients, essential proteins and oils with a Damage Cure Ritual and give your hair the TLC it needs to shine with health and vitality! Has your hair color lost that “fresh from the salon” look? Revitalize it with a Color Refresh Ritual. Perfect for restoring shine and lustre to color treated hair in between regular salon color services, a Color Refresh Ritual can be customized to remove brassiness, restore rich tones or amp up vibrancy. Our nail services are performed in a quiet, spa-like atmosphere. Our traditional manicures and pedicures engage the senses with aromatherapy using doTERRA essential oils. We offer natural nail services and treatments using Londontown and CND Shellac product lines. Londontown is the first and only nail treatment and color line that works synergistically to heal nails from within. From root to tip, Londontown’s kur nail care system and bold lakur lacquers are formulated to provide the ideal balance between strength and hydration - leading to radiantly strong fingernails and nourished cuticles. Formulated as a luxurious “9-free” polish, Lakur’s highly pigmented colors result in dramatically different long-lasting wear. Includes a relaxing hand massage that extends to the elbow. All the benefits of the Fifth Element Manicure along with an exfoliating scrub and extended massage with warm Himalayan salt stones. Enjoy all the benefits of the Spa Manicure coupled with seasonal specialty products and a masque! Do you only have fifteen minutes for a quick polish change? We can do that! Includes a relaxing foot massage that extends to the knee. All the benefits of the Fifth Element Pedicure along with an exfoliating scrub and extended massage with warm Himalayan salt stones. Enjoy all the benefits of the Spa Pedicure coupled with seasonal specialty products and a masque! Short on time, high on quality polish - we can tidy your toes to perfection! Help hard-working hands or feet recover from dryness, ragged cuticles and signs of aging with this intensely nourishing hand treatment. Maximum strength exfoliation helps to reveal more evenly toned skin while moisture-rich botanicals coupled with Londontown’s Kur and the hydrating benefits of warm paraffin gloves provide the cure your hands and feet need! South Seas Spray Tans are continuously voted “Best of the Best” by Allure magazine. Featured on dozens of television shows and magazines, our paraben-free products are universal. They work for all skin types and provide a completely natural, glowing color. South Seas products use only the finest all-natural ingredients available. They include Certified Organic DHA, Shea Butter, Citrus, Ginseng, and Cucumber. Our products are never tested on animals. Receive a discount when purchasing in 3, 6 or 12 series packages. Welcome to the sanctuary of Sadona Salon + Spa. Be sure to arrive early for plenty of time to wrap yourself in our plush, cozy robes, slide into some slippers and escape to the Fifth Element. A massage customized to your unique needs and enhanced with essential oils and hot towels. Salt stone massage offers more therapeutic benefits than traditional hot stone massage. Derived from the ancient Primal Sea, Himalayan salt is the purest form of sea salt, free from all modern toxins. This salt activates the body’s natural healing mechanisms and restores balance, while its smoothing effect upon the skin is an added boost. Feel the soothing warmth associated with bamboo. This treatment is ideal for large-muscle tension relief and is a great post-workout treat. Bring that special person in and enjoy a luxurious and relaxing experience together in our duet room. With specialty pillows and massage technique, melt away the tension and aches that come with a changing, working and accommodating body. Chakras are wheels of energy throughout the body and are based on the belief that there are seven centers along the spine associated with glands, organs, feelings and thoughts. This treatment begins with a scrub applied to the back to open the chakras followed by foot reflexology, deep tissue work and vibrational sound therapeutics. Get whisked away as a duo of therapists blend ancient wisdom with modern hands-on massage techniques as they utilize meridian pathways to achieve a restored state of vitality and balance. Standing, running, jumping – our feet do it all! There are reflexes in the feet that correspond to all parts of the body and stimulating these reflexes brings about physiological changes. Reflexologists believe that overall health begins in your feet and travels up. We begin with dry brushing to stimulate circulation. This is followed by application of your hand-selected scrub and finishing creams. AromaTouch technique is a clinical approach to applying essential oils along energy meridians and visceral contact points of the back and feet. Well-being is improved by reducing physical and emotional stressors and by supporting healthy autonomic function for an unparalleled grounding experience. A gentle oatmeal and rice bran powder activates to create a gentle yet effective exfoliant that whisks away dead skin cells, brightens skin and helps reduce the appearance of sun spots and hyperpigmentation. Perfect to precede a spray tan series! Inspired by 14th century Thai Therapy, this treatment utilizes a unique fabric stamp filled with skin-benefiting ingredients and the power of heat to detoxify, remineralize, de-stress, exfoliate and relax. Natural earth clays draw out impurities while extracts stimulate circulation and smooth skin. The deep manipulations along pressure points and the meridian of the body relieve aching muscle tissue and work to rebalance the body. A specialized deep tissue treatment, targeting lifting, tightening and toning your hips and thighs through stretching the deep connective tissue layers. Powerful actives and invigorating massage techniques stimulate circulation, remove toxins and tighten skin, leaving you smooth and firm. Our exclusive warm Sadona Salon + Spa Hair and Scalp Oil is applied vigorously to the scalp, neck and shoulders to stimulate circulation, then warm towels, soothing techniques and reflexology follow to achieve deep relaxation. The ultimate body treatment that uses energizing exfoliation and deep tissue massage to tone upper arms, tummy and cellulite-prone hips for a tighter, fitter-feeling body. Dry brushing is an age-old process of brushing skin with a natural brush to stimulate lymph flow, improve circulation, exfoliate skin and help reduce cellulite. This is a perfect enhancement to precede any body therapy. This ancient Japanese method of healing uses energy to balance the body and mind. Its benefits can be felt by both Reiki practitioners and their guests. In fact, Reiki is believed to improve just about every aspect of life including physical health, emotional well-being, stress reduction and mental clarity. Just choose the combination of areas that need extra massage attention: feet, scalp, or hands and arms. Like adjusting a piano, your body can be tuned to achieve optimal physical balance. By tapping two tuning forks and placing them at specific points throughout the body, it will instantaneously alter your body's biochemistry and bring your nervous system, muscle tone and organs into harmonic balance. In seconds, your body enters a deep state of relaxation. A wonderful addition to post-spa treatments. This supreme lip conditioning treatment soothes away flaky, damaged skin that can result from lip makeup and the environment. By infusing firming peptides and repairing vitamins into the perioral area, it restores the delicate lip tissue back to optimum health while soothing fine feather lines and erasing the signs of aging. The foundation of Sadona's facial services, this signature treatment is perfect for our first-time guests. After a thorough consultation, your licensed esthetician will tailor your professional treatment as well as home care and your future path to clear, healthy skin! This powerful treatment is specially created for guests concerned with the signs of aging, premature aging, photoaging or sun damage. Our correction, prevention and nutrition system targets fine lines, wrinkles, loss of elasticity and dull, sallow skin. Accelerate brightening, improve skin tone, enhance skin clarity and create a fresher, healthier appearance with this effective treatment. This comprehensive treatment combines the latest innovations in exfoliation and skin lightening technology to correct all forms of hyperpigmentation without irritating the skin. This comprehensive treatment combats all grades of acne by combining powerful anti-bacterial peptides, and salicylic acid with soothing anti-inflammatory botanicals. Ideal for treating oily, acne and acne-prone skin. This treatment provides serious relief for sensitized skin by calming, soothing and replenishing the most aggravated, irritated, inflamed skin. By targeting the triggers behind redness, itching and stinging, this treatment offers long-term relief. Organic ingredients include Japanese green tea, peptides, shea butter, healing copper, soothing botanicals and antioxidants. Enzymes and brighteners will exfoliate and brighten, leaving your skin balanced and refreshed, while potent nutrients soothe and restore. This comprehensive treatment combines our stable Tri Vitamin C blend with correcting hydroxy acids, plant-derived stem cell technology and deeply hydrating ingredients to treat redness, inflammation, dry/dehydrated and photoaging skin. A breath of fresh skin, perfect before your big night out! This luxurious treatment infuses oxygen, plant-derived stem cells, peptides and a high concentration of enzymatic botanicals into the skin leaving it luminous, refreshed and rejuvenated. This treatment is a great start for any teen - whether new to skin care or a pro. Experienced skin care experts analyze, customize your treatment and answer any questions about best methods to care for your changing skin. This rapid treatment cleans deep, repairs and calms while tackling all your shave-related skin issues. This therapy adapts to fit your every concern - including acne, aging and sun - and provides a complete cleansing for hard-to-reach spots. The facial begins with a gentle steaming to open pores and lift impurities, then a deep cleansing and exfoliation and concludes with a therapeutic masque. Our Clinical Couture Designer Peels are customized for the specifics of your skin. Our licensed estheticians who are highly trained and educated in individual skincare programs will design a treatment plan with the perfect peel choice for your skin care goals. Not all peels are created equal, take your skin care regime to the next level! A blend of pumpkin, pineapple, papaya, and mango fruit enzymes and peptides in an organic aloe vera gel base. This non-chemical peel rebalances, regenerates and restores skin while comfrey plant stem cell extracts recharge your skin's stem cells. Our signature results-driven treatment combines Vitamin C, hydroxy acids and enzymes to speed up cellular renewal. Redness-prone skin benefits from our new centella stem cell extracts while botanical, detoxifying and energizing complexes give noticeable results in just one session. Uneven complexions have met their match. This results-driven treatment combines the most innovative and effective botanical brighteners, luminescence and seashine, with echinacea plant-derived stem cell extracts and anti-aging peptides. Experience younger-looking, luminous skin immediately. A potent blend of alpha and beta hydroxy acids blended with lilac plant-derived stem cell extracts to reduce blemishes and redness while diminishing post-breakout dark spots. Detoxifying ylang ylang and eucalyptus purify oily skin and effectively treat and reduce acne lesions. This powerful and progressive salicylic acid treatment targets and improves stubborn acne. This ultra-resurfacing blend of glycolic acid and retinol visibly reduces the appearance of fine lines and wrinkles leaving skin firm and revitalized. Buddleja stem cell extracts reduce inflammation and diminish photoaging; botanical coffee and peppermint energize; and eucalyptus and ylang ylang purify the skin. This exclusive blend of salicylic, lactic, resorcinol and retinol, combined with peptides and plant-derived stem cell extracts, creates “perfection” in addressing moderate to severe photoaging, deeper lines and wrinkles, pigmentation disorders and acne. Experience the power of BioActive, a powerful new skin resurfacing system that helps reduce acne, pigmentation and signs of premature aging. It safely removes dull outer layers of skin and helps the skin underneath regenerate for a smooth, radiant complexion. We offer both hard wax and strip hair removal systems. The best choice in the U.S.A. for strip wax is Nufree is a soy-based antimicrobial hair removal system. WAXING CLUB - this is maintenance waxing. Pre-book, show up and SAVE! Pre-book your next appointment and come BEFORE the fourth week to receive the maintenance discount of 20% (appointments that extend beyond four weeks will not qualify for the discount). This discount is driven by low hair growth. Frequent, regular visits = slow, low growth = CLUB PRICING! 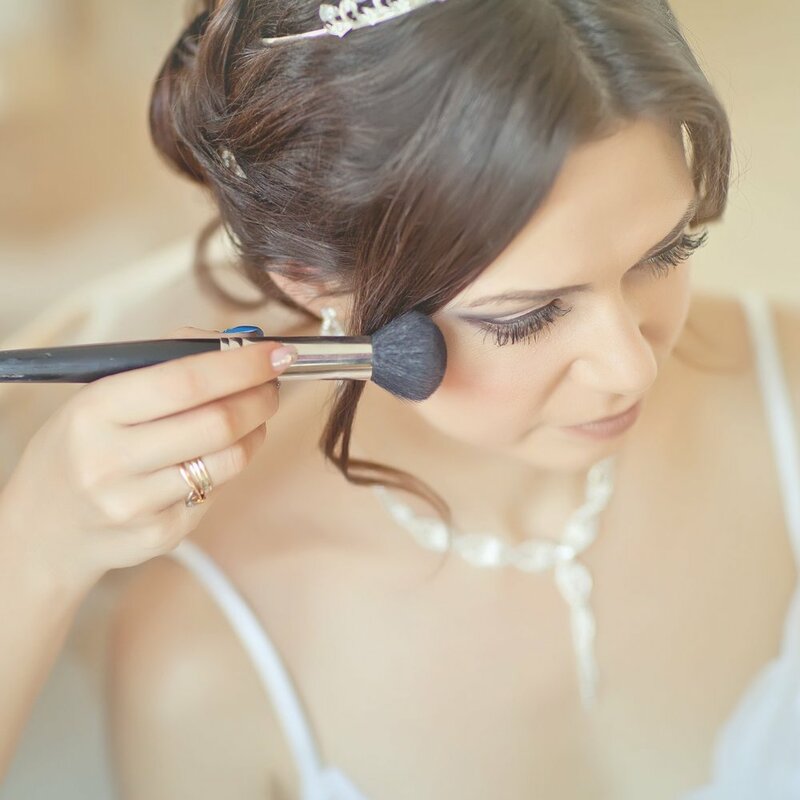 We offer full bridal salon & spa services as well as a little retreat to prepare and enjoy that memorable “get ready time” with family and friends on your most beautiful and special day! Available at an additional cost. Our Bridal Staging Suite is fully mirrored and gives you and your bridal party the comfort of your own private space for getting ready. Add a personal touch to your special event by decorating the 15’x15’ room and bringing your own caterer. 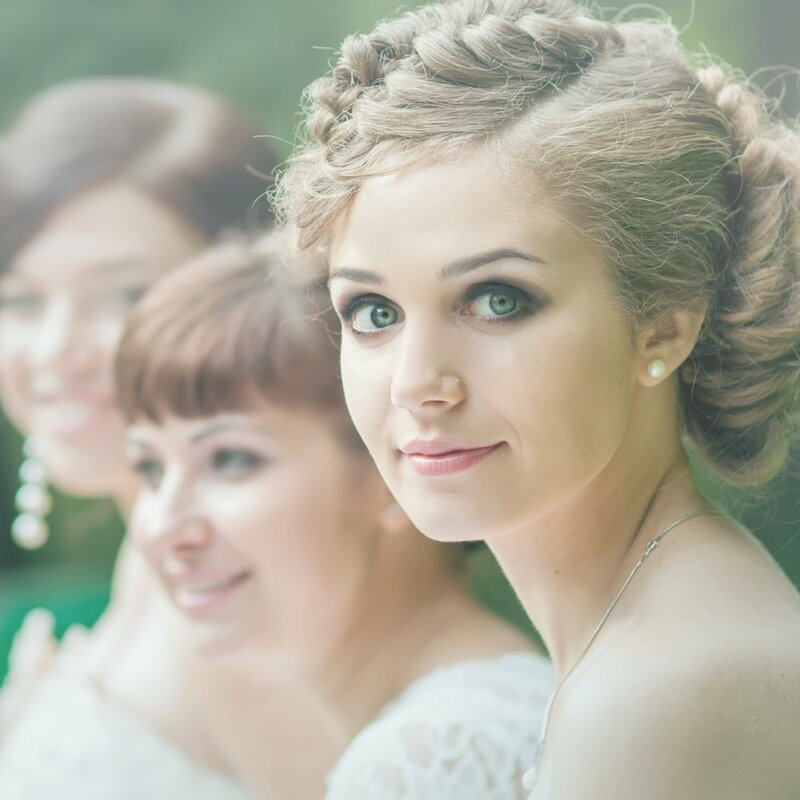 Food and refreshments may be brought in and set up for your bridal party to enjoy. Deposit of 50% of services are due at the time of booking. Deposit is non-refundable if cancelled within 7 days of the scheduled reservation. 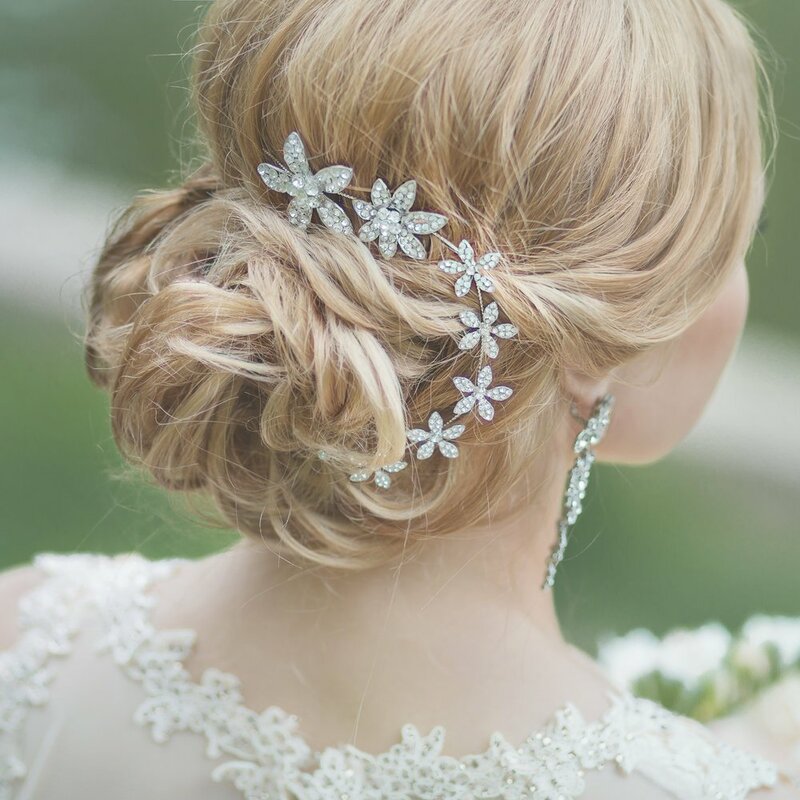 Additionally, please inquire about off-site services such as Hair, Makeup and Massage Therapy to help make your bridal day as smooth and relaxing as possible. Travel fees may apply. Your Special Events Coordinator will walk you through our offerings and develop your personal bridal package. Many of our services can be purchased in a series of 3, 6 or 12 to offer you added value. Please inquire with our experienced staff to see if your favorite facial, massage or peel can be purchased as a package. This is an ideal way to purchase services that have a cumulative effect to produce a desired outcome. Call us at (410) 263-1515 or contact us here to schedule your appointment. Gift cards are available to purchase online as well.